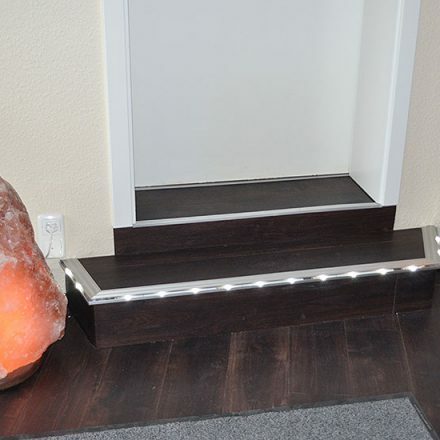 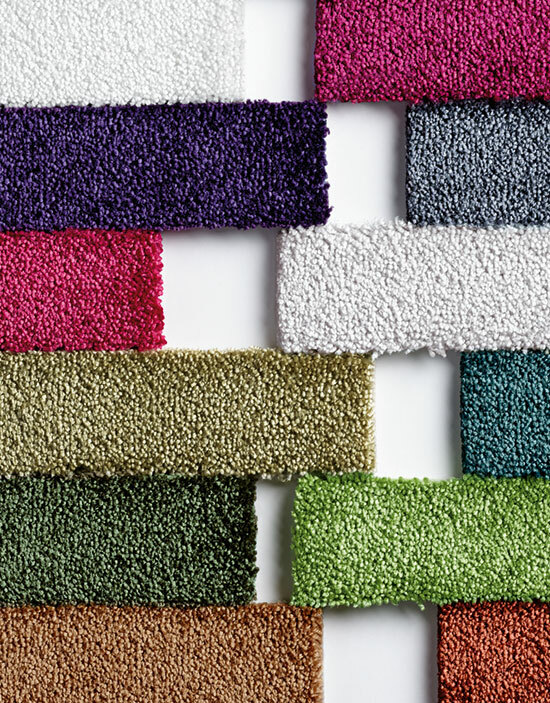 Carpet, parquet, designer flooring, needle felt, PVC or rubber floor coating are an essential part of your personal wellness living atmosphere. 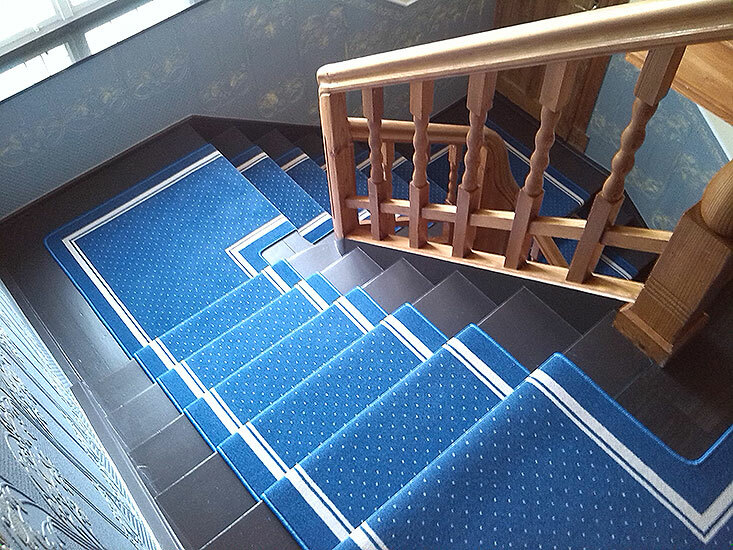 Useful features such as durability, care, comfort and insulation are taken into account as well as modern design patterns. 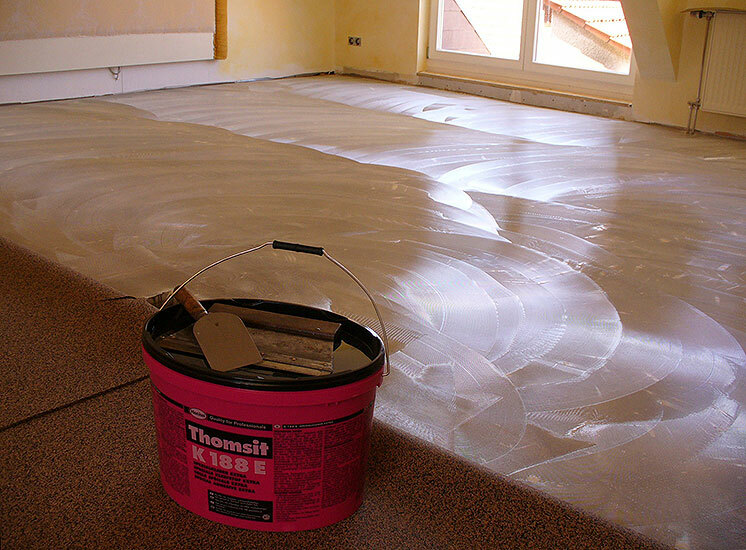 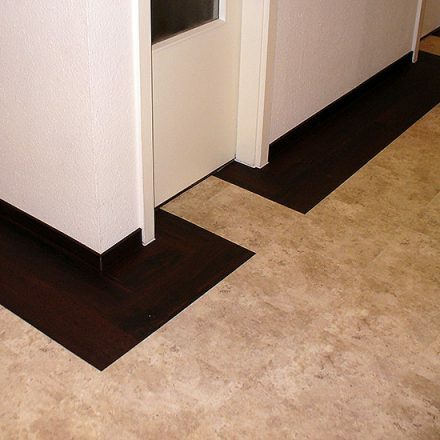 We offer special floor coverings for particularly heavy loads, for wet rooms or also for underfloor heating. 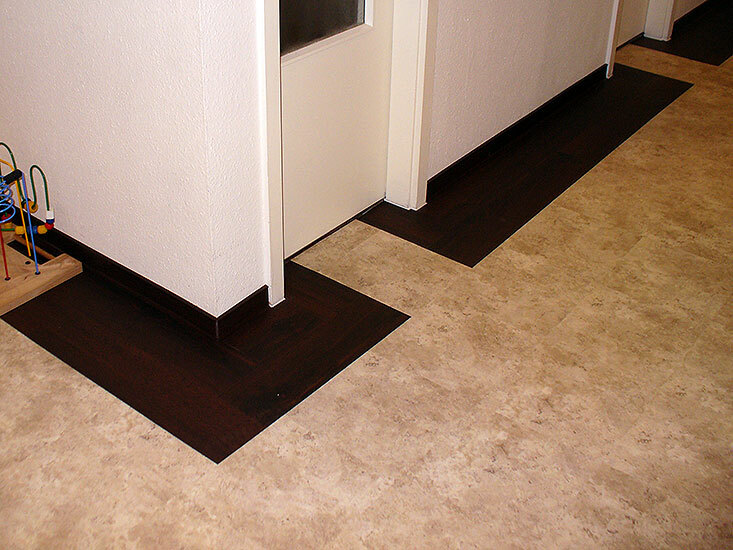 Needless to say, we also take care of floor surface preparation. 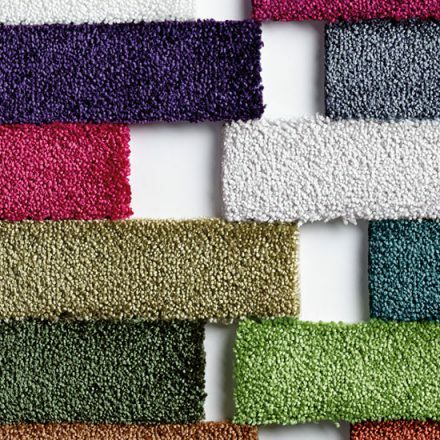 Make use of our carpet laying service. 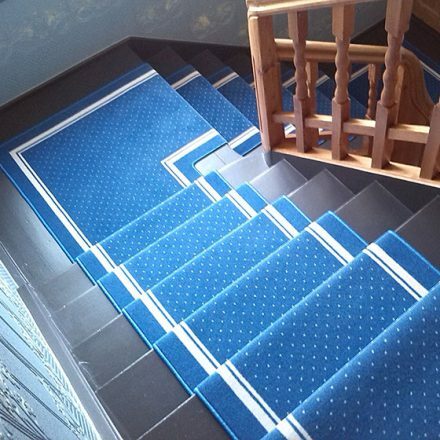 We also tighten your carpet. 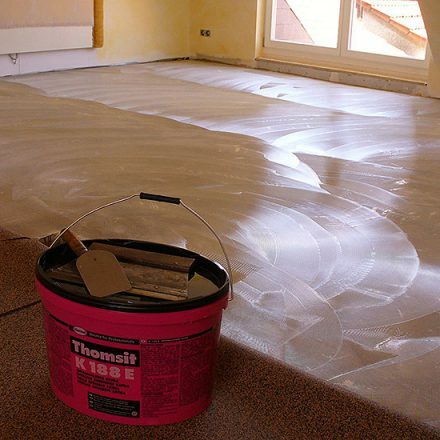 Please mind: the manufacturer’s guarantee is void in case the product hasn’t been processed by certified experts! 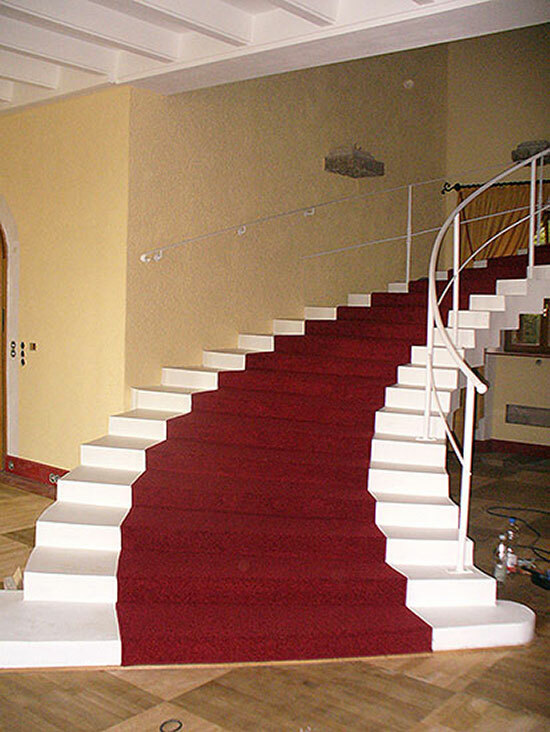 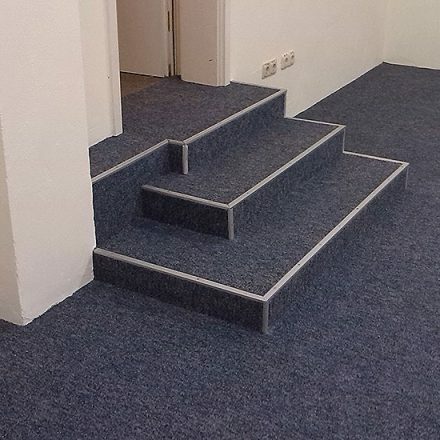 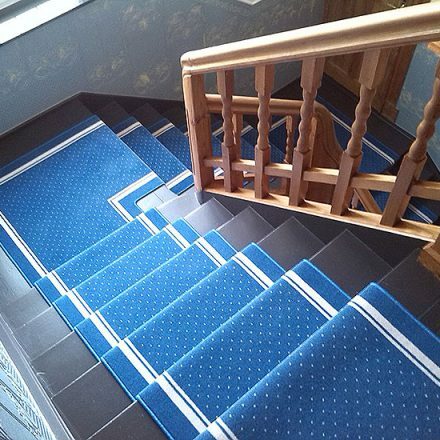 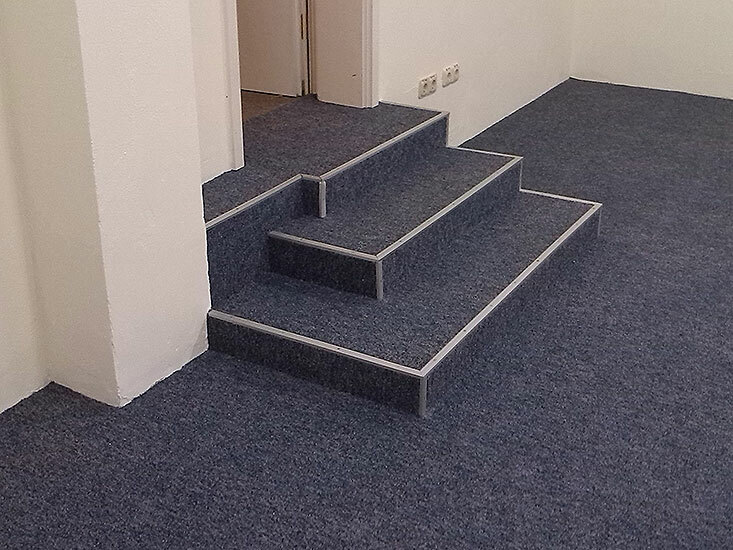 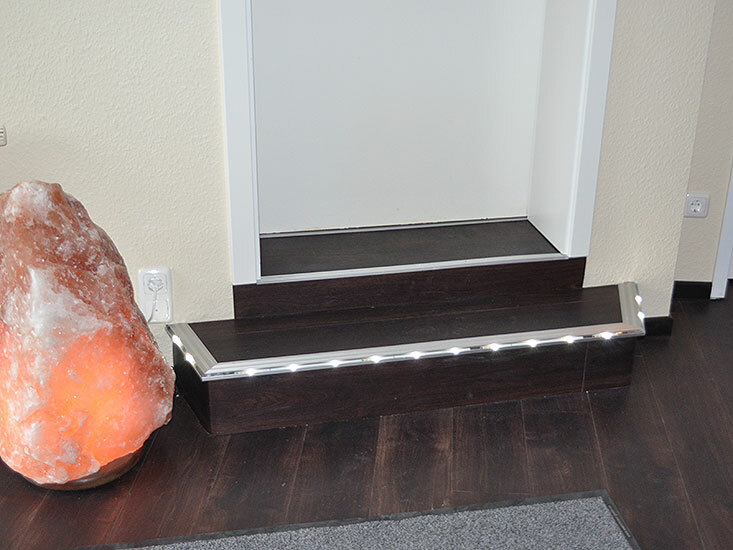 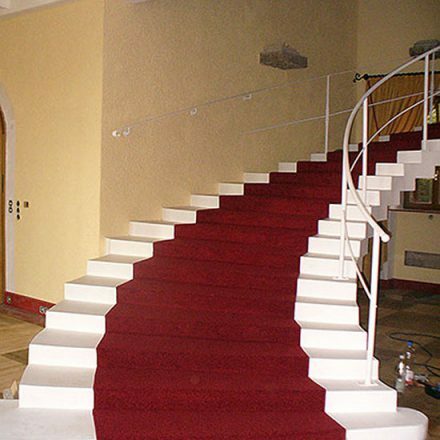 We even have the expertise and professional tools needed for laying floor coverings on straight or even spiral stairs. 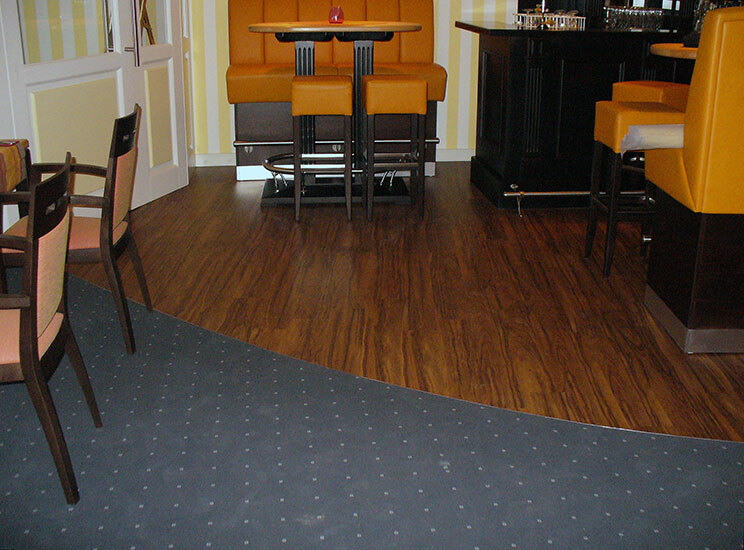 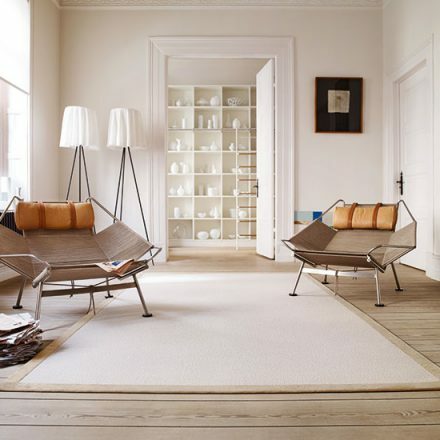 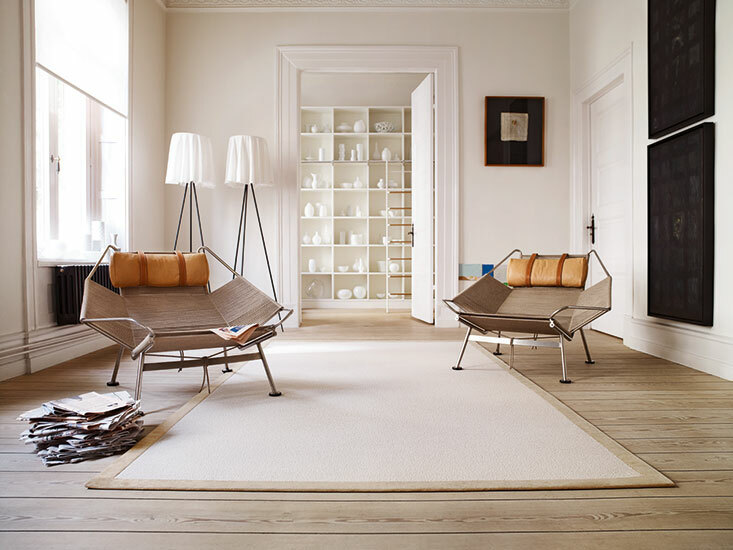 Please contact or visit us for more information on the special characteristics of the different types of floor covering. 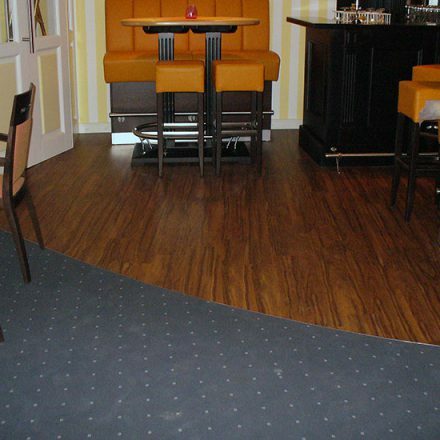 We are happy to help you find the right floor covering to best meet your needs!